Whenever I talk about the planets of the solar system, someone usually asks “what about Pluto?” Many people have an emotional attachment to the planet, and feel somewhat offended that the mean astronomers have declared the tiny world to be not a planet. So what about Pluto? Well, it turns out we now know a great deal more about the planet than we did when you were little, and we’ll soon know even more. When Pluto was first discovered in 1930, it was seen only as a faint point of light that moved relative to background stars. It was only due to photographic observations that it was discovered at all. Because of its distance it was difficult to determine the characteristics of Pluto. We had no way to determine its mass, and estimating its size could only be done by guessing its albedo (how much light it reflects). If it was a bright world it could be rather small, but if it was a dark world it would be rather big. Left: first image of Pluto with moon Charon. 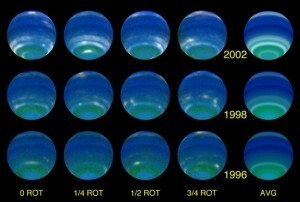 Right: more modern Hubble image. Then in 1977 a magnified photographic image of pluto showed a slight bulge. Analysis of other images showed the bulge appeared with a period of about 6 days. Pluto’s moon Charon had been discovered. With the discovery of a moon it was then possible to determine the mass of Pluto. It was found that Pluto’s mass was quite small, less than a fifth of our own Moon. Later we determined its diameter is only about 70% that of the Moon. That alone is enough to question the idea that Pluto should be considered a planet, but then we began to find more objects with similar distances and orbits as Pluto. 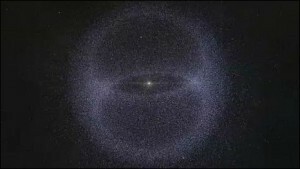 They form the Kuiper belt, which is an icy version of the asteroid belt beyond the orbit of Neptune. Pluto is the largest Kuiper belt object (KBO), but we now know of more than a thousand KBOs larger than 100 km. Pluto is very clearly part of a family of objects. Which is one of the reasons it was demoted from being a planet. 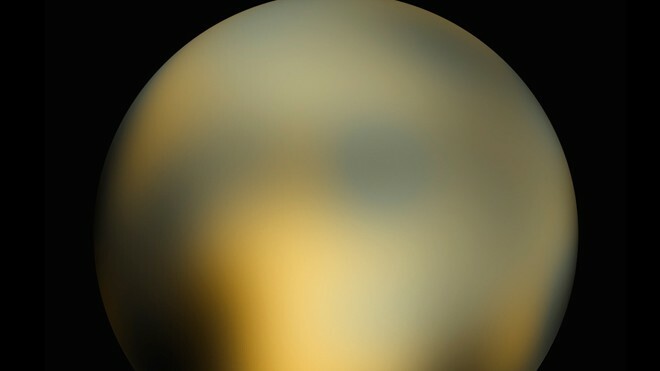 The planet Pluto everyone loved was a dim speck of light. The last planet at the edge of our solar system. The dwarf planet Pluto of today is the largest member of an icy belt that marks the beginning of the outer solar system. It is also the first such object we will explore. In 2015 the New Horizons spacecraft will make a flyby of Pluto, giving us the first detailed images of a KBO. So don’t mourn Pluto the dim dot of a planet. Celebrate Pluto, the king of the Kuiper belt, and guardian of the great beyond. Pluto was a planet when I was born some 59 1/2 years ago. I’m a friend of several friends of Clyde Tombaugh and I think it is atrocious what was done to him. In all seriousness, what atrocious thing was done to Tombaugh? He’s fully credited with the discovery of Pluto, which is arguably still the most popular solar system body. When the New Horizon went to Pluto, it carried a portion of Tombaugh’s ashes in honor of his discovery. So Pluto is no longer considered a planet. We’ve built upon Thombaugh’s discovery and learned more, which is the dream of any scientist.